Marketers across the country are using out-of-the-box methods to unveil lavish homes. Guests arriving to attend 9127 Thrasher Avenue’s “Estate of Zen” party. As the video opens for the Estate of Zen in West Hollywood’s coveted Bird Streets, it’s unclear whether you’re watching a movie trailer, a product commercial, or an art statement. Slow-motion shots of a geisha applying makeup are intertwined with B-roll of various rooms in the 10,000-square-foot, Asian-inspired home. The promo unfolds into a recap of a 45-person Japanese dinner that the realtors and publicity agency worked on together. The residence’s Zen-like design and layout was on full display in the video, which showcases what it takes to not merely sell but announce properties at the highest end of the market. Whether it’s through an intimate dinner, a high-fashion photo shoot, or a finely targeted digital marketing campaign, the methodology for getting the right people into these lavish homes is changing. 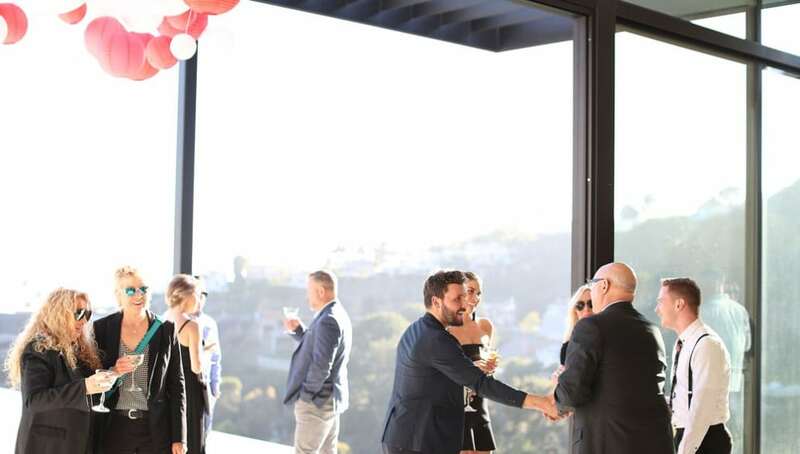 Loud, scene-y parties are still the norm, but to connect those with the means (or their representatives) to extraordinary homes, marketers are creating events that mesh with a buyer’s personal lifestyle. As one of architects of the Zen launch and a thought leader in these new strategies, the Society Group CEO Alexander Ali has been tasked with building dynamic marketing plans for some of Los Angeles’s more unique (and expensive) properties. One such example is Malibu’s famed 27580 Winding Way, where Ali worked with co-agents Denise Snanoudj and Craig Knizek of the Agency to hone in on the specific features of the equestrian estate. Ultimately, fashion photographer Jim Jordan oversaw a high-fashion photo shoot (complete with horses) on the property grounds to create outside-the-box photos for social media and marketing while party attendees milled around and nibbled on tacos. Ali also hired a video team to document the day’s shoot. “Jim is a Malibu resident, and we wanted to let him follow his muse,” Knizek says. “We wanted to bring him to a place that might inspire you.” The photos and video could help inspire buyers to look at the long-marketed property in a new light (it was recently in escrow but has since been put back up for sale). “Every day, we’re asked, ‘How do we get more social media exposure for our listings?’” Ali says. He’s going straight to the platform itself by working directly with Instagram influencers to stage what he calls an “Insta-House.” He works with a small team and sets up various picture-ready rooms around a home where attendees (often with substantial followings) find the perfect moments to document on their accounts, such as a pillow-fight room in a Hollywood Hills home. For an event coming up in early October, Ali envisioned an entire California surf theme that will match the original 1962 construction of a Santa Monica penthouse. He hired a high-level Instagram influencer to curate the guest list, offering maximum exposure and connections. 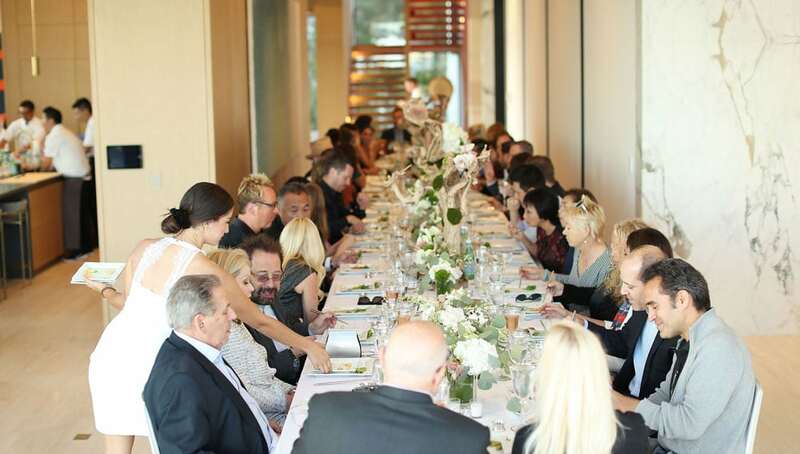 Guests enjoy a sit-down sushi dinner at the Estate of Zen. When the buyer can’t physically be at an event, agencies are using leading-edge digital marketing to connect with prospects, too. “We start with the basics—photos and video—and try to give viewers a sense of a day in the life of a listing,” says Victoria Sampaio Foster, regional marketing director at Compass Miami & Fort Lauderdale. To compete—and succeed—in South Florida, Foster and her team are getting prospective buyers to that point of initial viewing by reaching out via tightly targeted digital and print ad buys. They use media-driven email and print partnerships across the country to hone in on a particular type of buyer in a certain area. 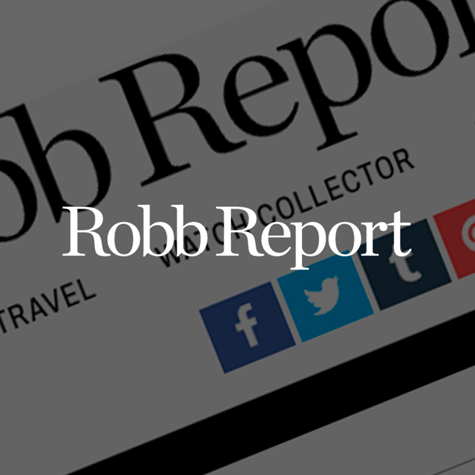 Compass worked with a national luxury magazine on an email campaign that targeted actively searching prospective buyers in big markets like New York City and Boston who had an interest in travel, luxury, and similar pursuits. Through clicks and read-throughs, they received real-time leads and were able to instantly connect with people who were looking. 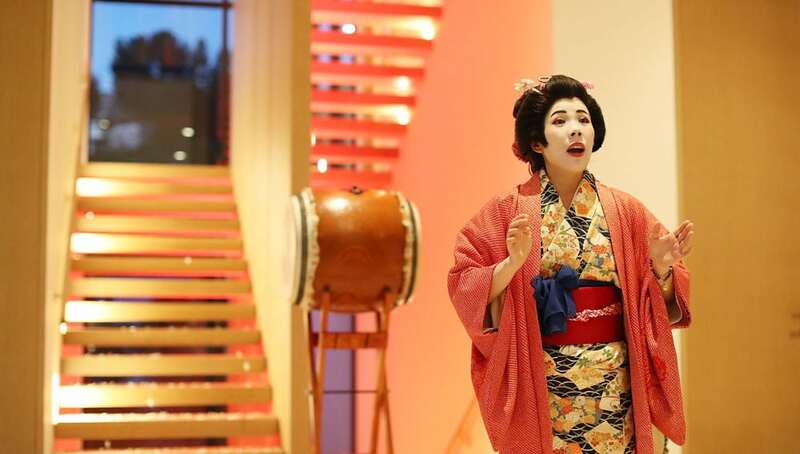 A geisha performs for guests at the Estate of Zen. “It was a good experiment for us,” Foster says, noting that the initial partnership didn’t quite live up to expectations, and “at the end of the day,” sales for properties at the highest end still come from word-of-mouth referrals. Perhaps this is one of the most interesting pieces of all of these new marketing strategies: No matter the method, they’re still driving personal, word-of-mouth referrals leading to sales. Foster noted a combination of “in-network” referrals that come from places like Compass’s occasional retreats, where its agents from various markets come together for education and, most importantly, for trade clients to help move properties. This is a growing channel for outreach along with the company’s new Coming Soon platform, where Compass will post upcoming listings on its site before the property hits the MLS database. “It’s an opportunity for everyone to find it first,” she says. And it’s working. On average, 2.4 times more visitors are showing up to open houses—which means agents are potentially able to move homes even before they hit the open market. As demand continues to fluctuate in the luxury sector, staging the right kind of event or targeting the right set of buyers will continue to be paramount in getting to those eyes—and dollars—first.